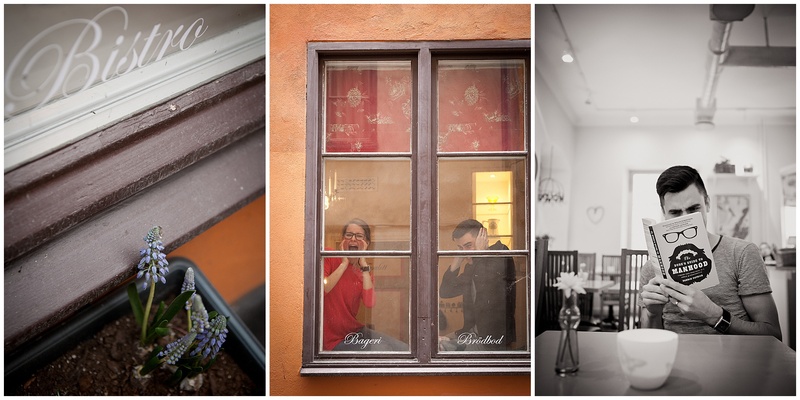 An engaged couple (the lovely Christina and Samuel), a favourite cafe and beautiful Gamla Stan made for a really special morning! Lovely visuals – thought the book one was very cute, but wouldn’t a cell phone have been more appropriate. 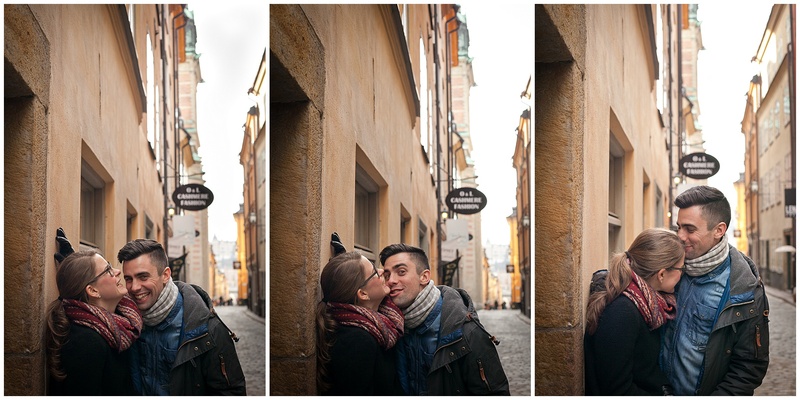 (Obviously don’t know the couple – but just people in general). 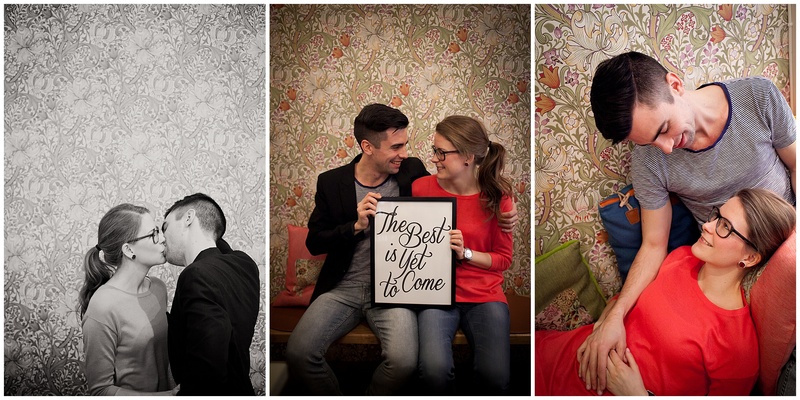 Wishing your clients a lifetime of happiness. Kelly, the funny thing is that it is his book!Definitely phones for people in general though, and sadly so. I so treasure and love books.